In this week’s Sports Jam Spotlight Jason Melillo profiles University of Minnesota softball players Maddie Houlihan of Plymouth and Maple Grove’s Sydney Smith. The two played key roles in helping the Gophers win the Big Ten tournament title and reach the NCAA tournament for a sixth consecutive year. 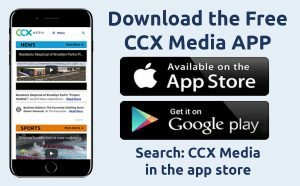 The story airs on the May 21, 2018 edition of CCX Media’s Sports Jam.